Rudding Park is a stunning venue situated just outside Harrogate and set in the most beautiful of locations, perfect for a wedding. 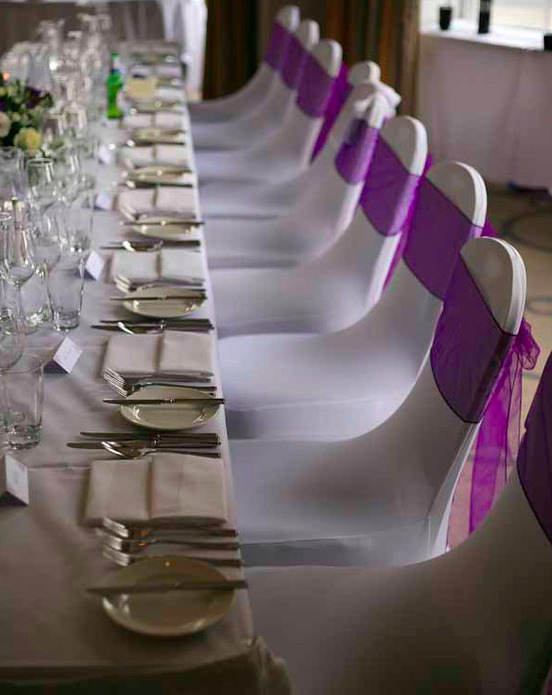 Of all the venues we work at Rudding Park really stands out for its impeccable standards and attention to detail - if you are a perfectionist this is the place for you! Katie and Darren's wedding took place at Easter, and while the week before we had been digging our way out of the snow things were much more spring like for their big day. 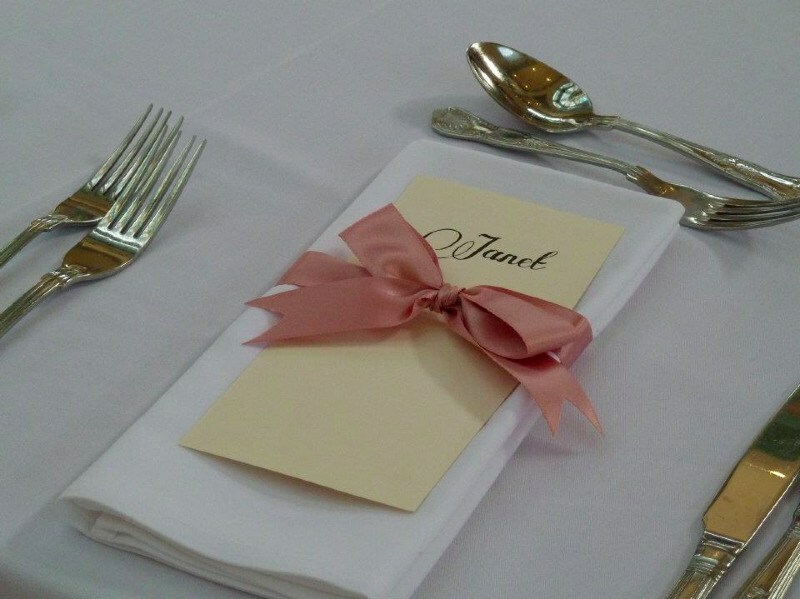 The flowers and centrepieces on the day were provided by Colette, who is the in-house florist at Rudding Park. The photographer was Blacksheep Photography who have very kindly allowed us to use their wonderful images here. 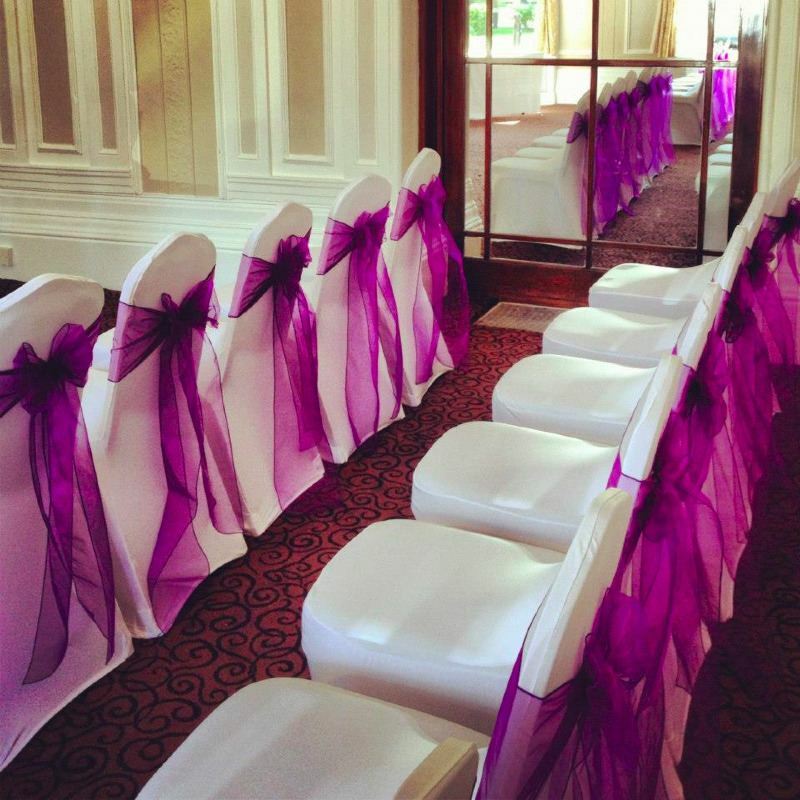 Our white stretch chair covers look fantastic on the chairs at Rudding Park, and the Cadbury purple is such a popular colour! 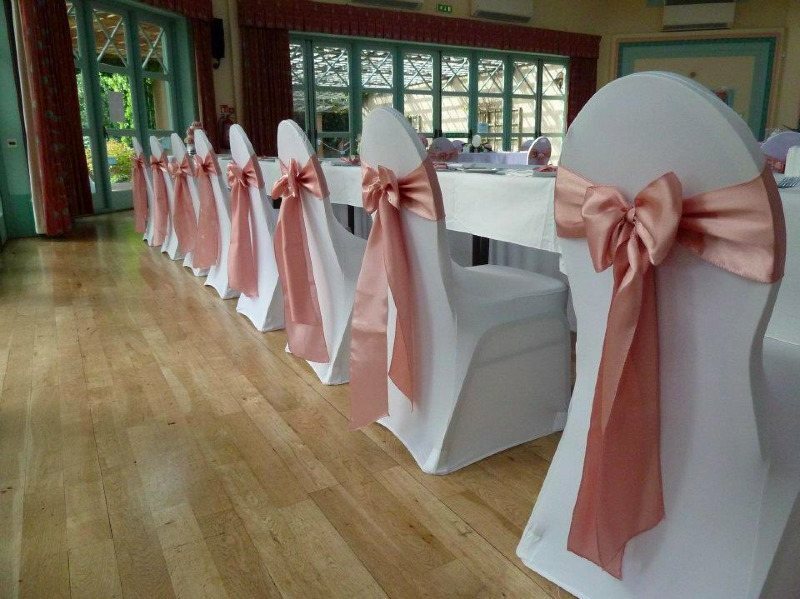 We have dressed the room at Rudding Park several times in this colour and it always looks wonderful. 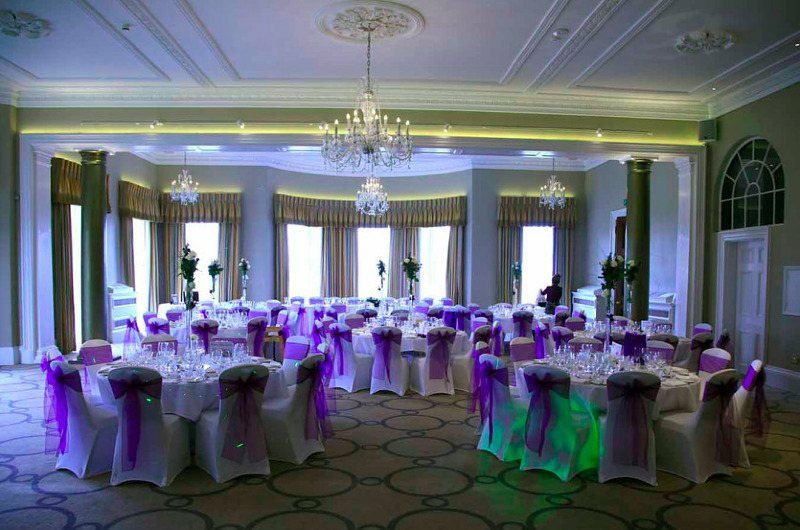 If you're planning a wedding in Harrogate you really must consider Rudding Park. The Sun Pavillion in Harrogate is an absolute gem, I absolutely LOVE working there as the room is just so gorgeous! Dating from the 1930's, and then restored and reopened by the Queen in 1998, the building is art deco in style and is surrounded by the beautiful Harrogate Valley gardens. 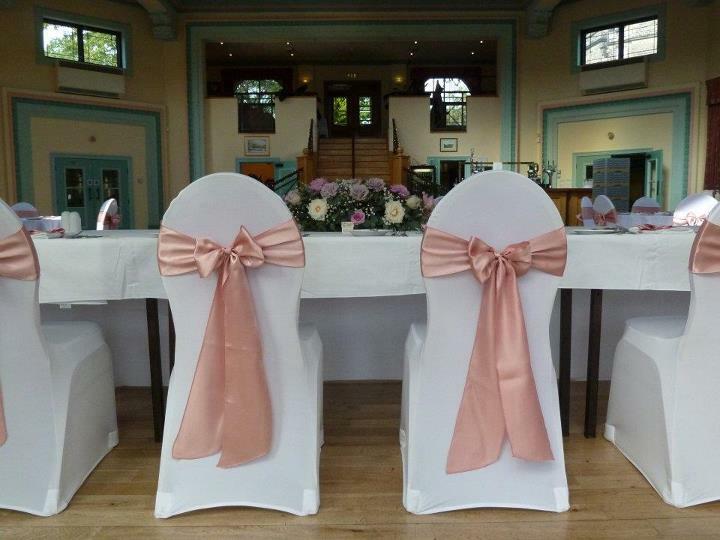 For this wedding we provided white stretch chair covers with dusky pink satin bows. 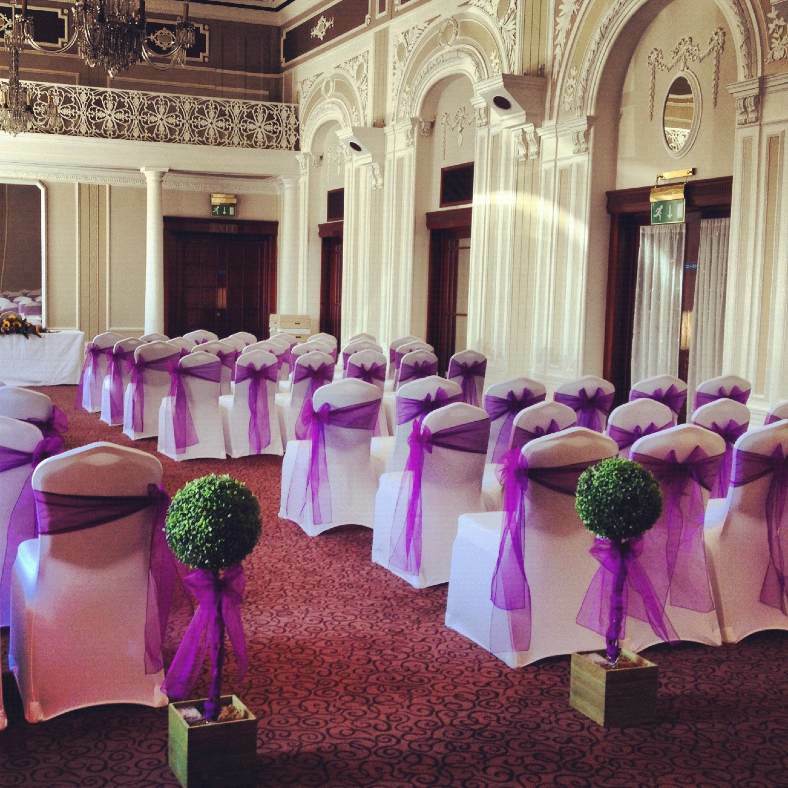 The colours worked really well with the room and matched perfectly with the flowers. Here we have the before and after photographs. 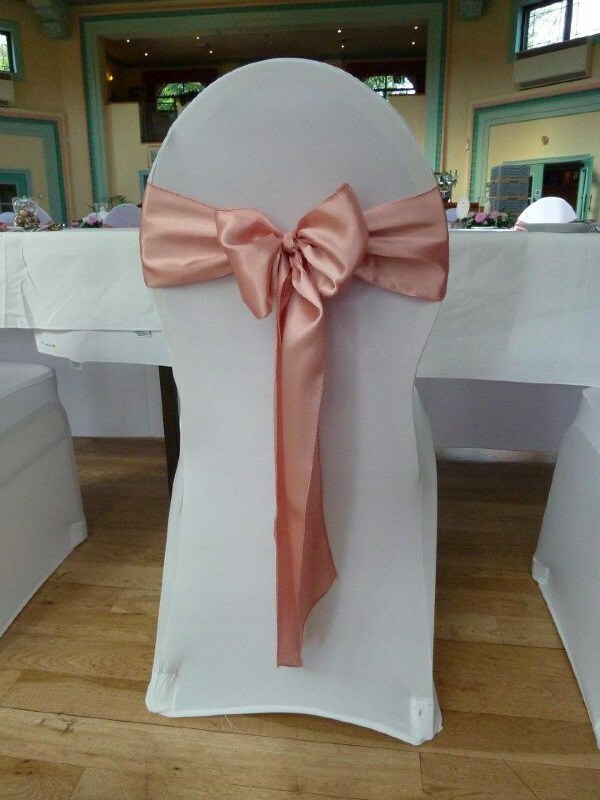 The covers really made a huge difference.The white stretch covers with satin sashes, as used for this wedding, would be £2.25 each including fitting. 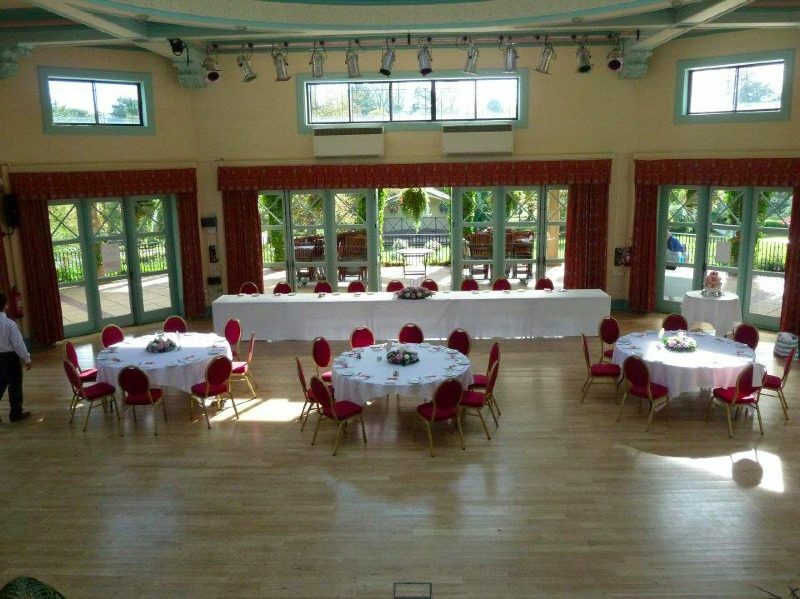 We have worked on several weddings at the Sun Pavillion Harrogate, the staff are always very friendly and helpful, and the room always looks stunning. There are so many windows that the lighting is just wonderful, I imagine it's a wedding photographers dream especially with such stunning gardens just outside. Location-wise the Sun Pavillion is with in walking distance of the centre of Harrogate, so ideal for guests staying over in hotels in the town. 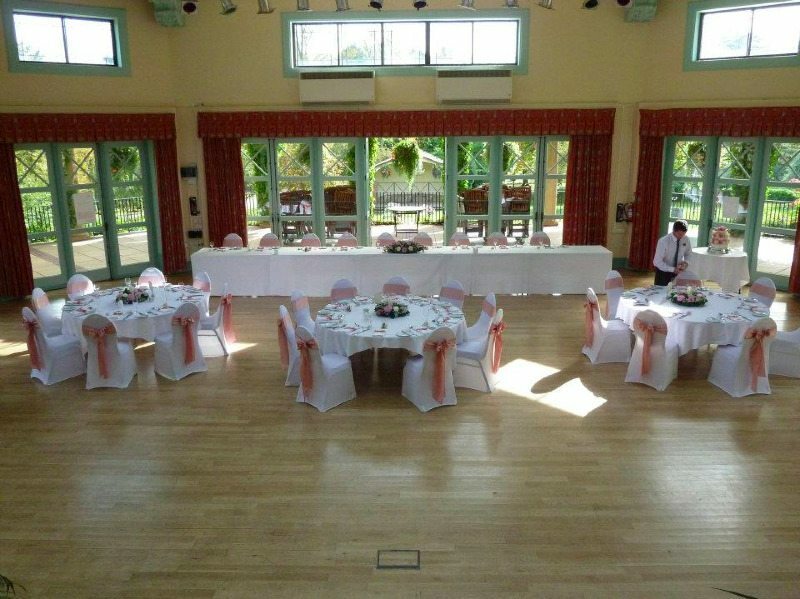 If you are looking for a wedding venue in Harrogate I would definetly recommend taking a look at the Sun Pavillion. Just to add, the Harrogate Valley Gardens (where the Sun Pavillion is situated) are really great - we've spent many very happy hours there. As well as the stunning gardens there is so much for children - from crazy golf to a small lake for remote control boats and a great childrens play area. My three year old absolutely loves it and would happily stay all day in the summer! 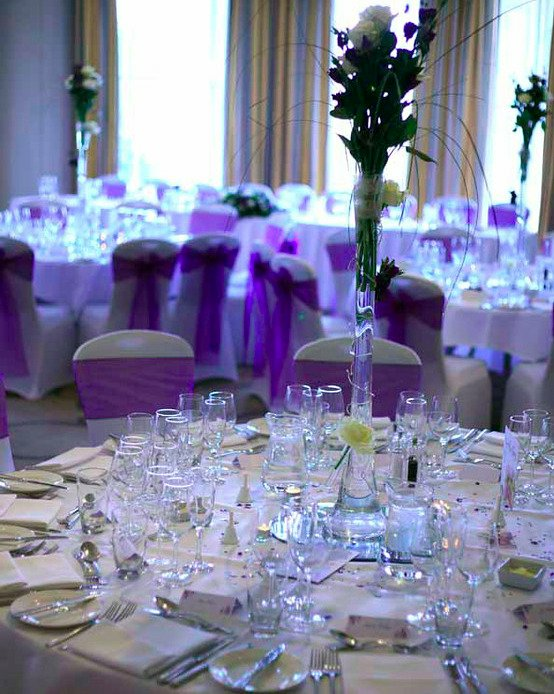 The Cedar Court Hotel is a beautiful hotel over looking the fabulous Stray park in Harrogate. The grade II listed building dates back to 1671 and mixes new and old with great success. The Rowan Suite is my favourite function room at the hotel. 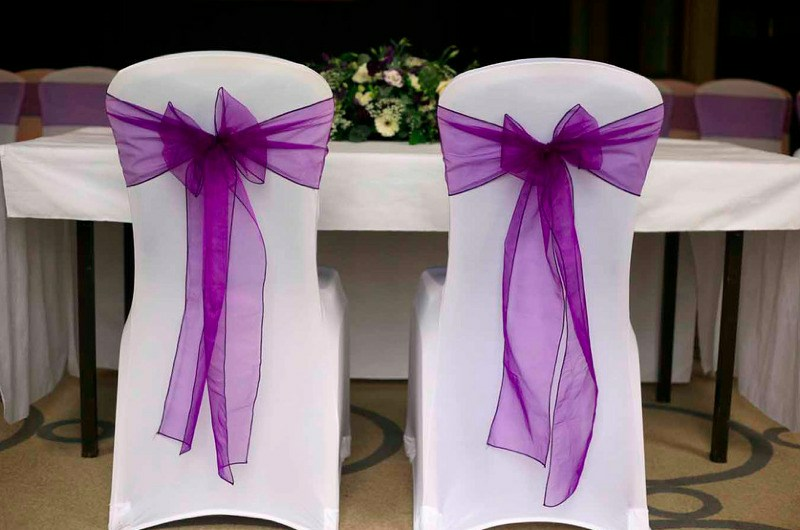 For this wedding we provided white stretch covers with the ever popular 'cadbury' purple organza bows and bay trees, which had fairy lights to be turned on for the evening reception. 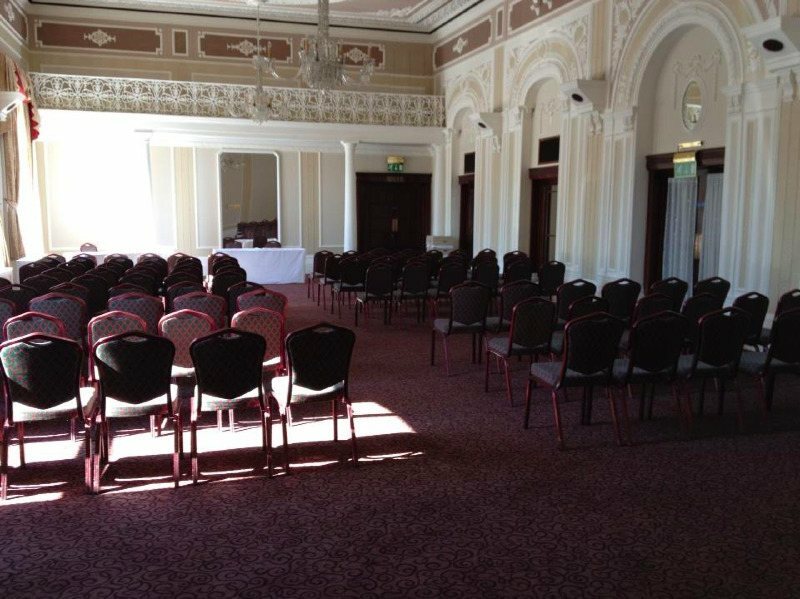 We dressed the chairs for the civil ceremony, and the wedding breakfast then took place in the same suite. Here we have the before and after pictures. The room looked so much brighter when the chairs were dressed, it really is a very beautiful room and this really stood out much more without the dark chairs. 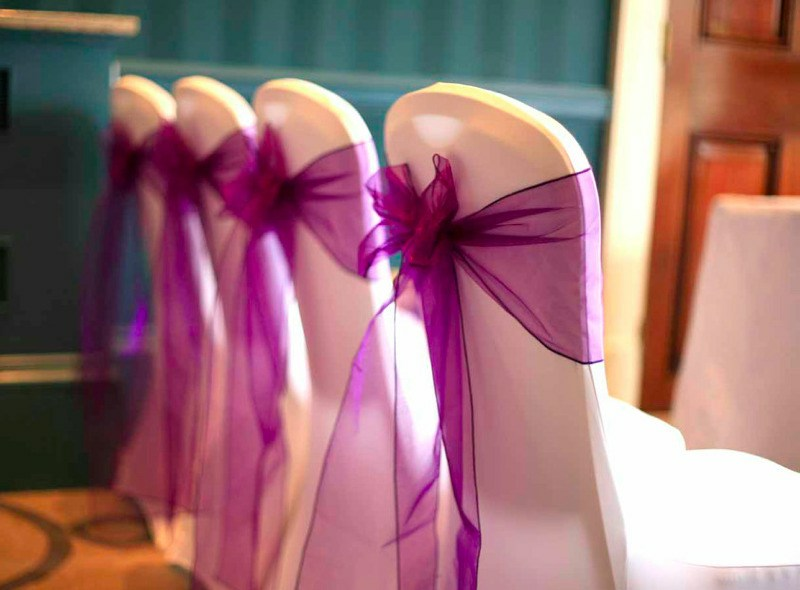 As you can see from the pictures, the aisle chairs had their bows turned to the aisle which is something which really looks great for civil ceremonies. 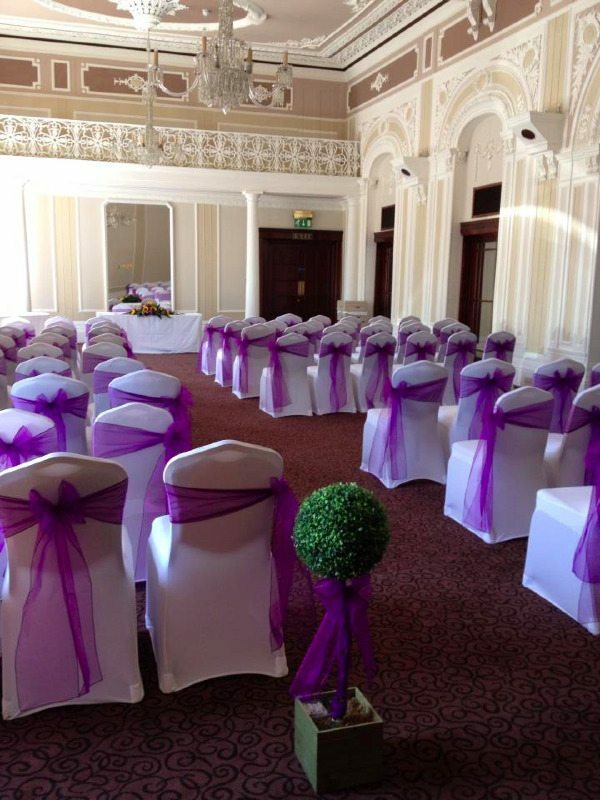 The florist also provided sun flowers which were fitted in to the bows on the aisle seats, so I imagine the finished room looked absolutely stunning. I was very tempted to hang around until the sun flowers were added! 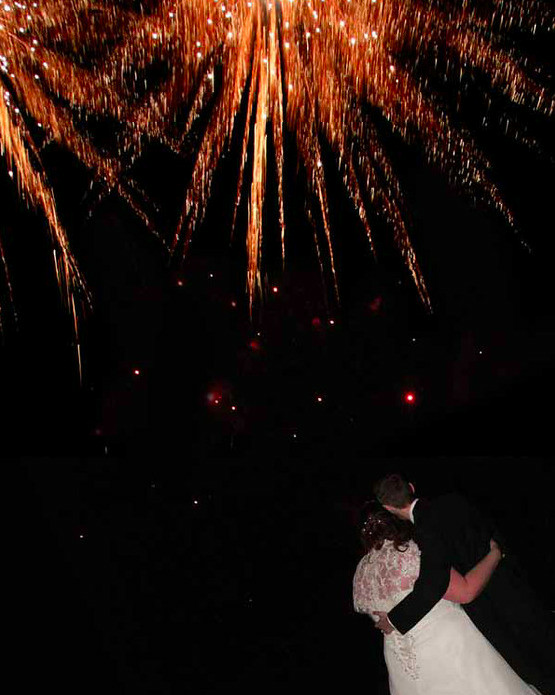 I had a play around with a few of the pictures from this wedding using 'Instagram'. 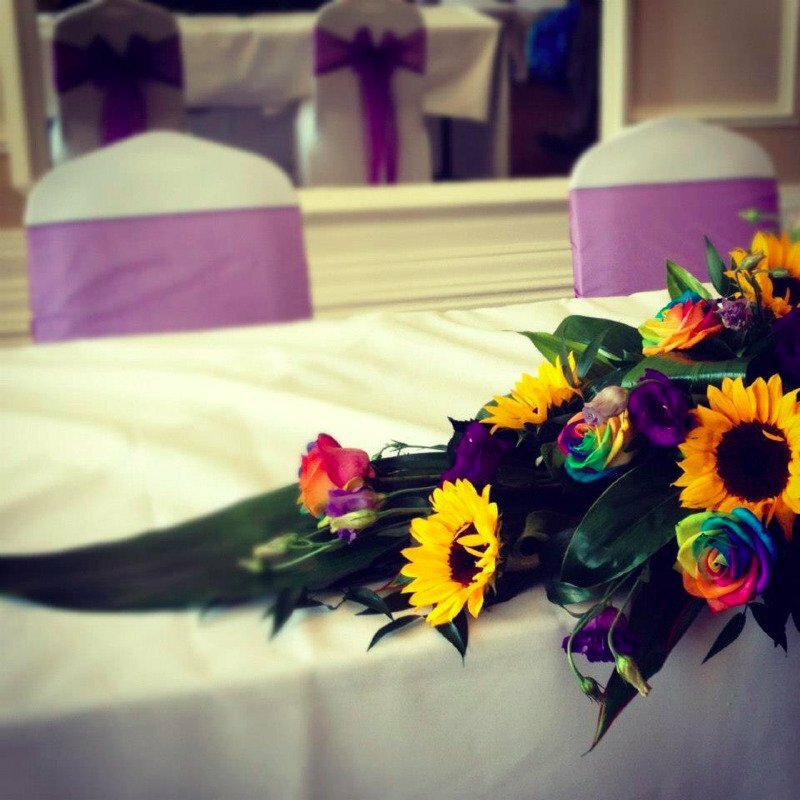 The flowers for this wedding were so different and very beautiful, unfortunately I don't know the florist to credit them for their work but the multi-coloured roses are so unusual! I have been told that the roses are coloured by placing them in coloured water, I'm sure its more complicated than that but the result is so different, and they looked wonderful with the sun flowers.